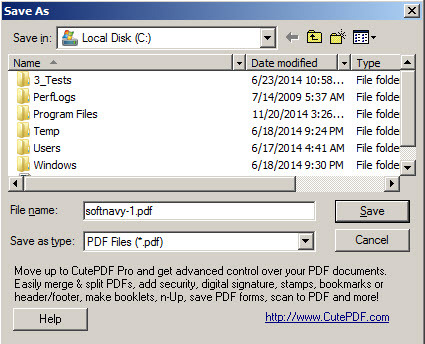 CutePDF Writer is a free program which allows to convert any printable file to PDF. It acts like a printer, but is a virtual one and instead printing on a paper, will save the file on your hard drive, as PDF file. 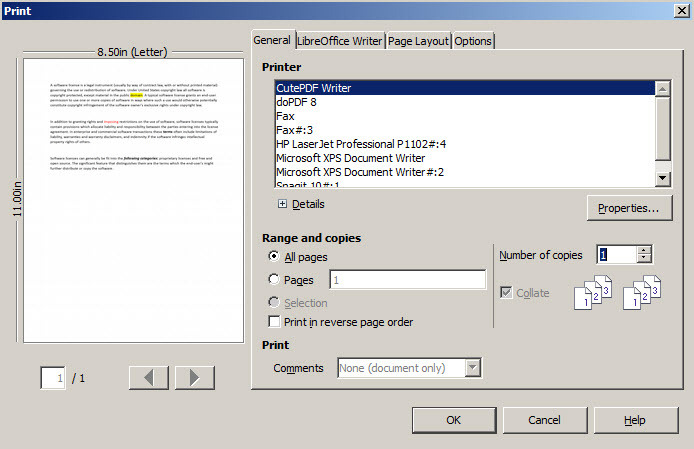 The program doesn't provide any option, so you can't configure anything, but the PDF file will look exactly like the source file. You can convert to PDF any printable file such as Word, PowerPoint, Excel, pictures and so on. 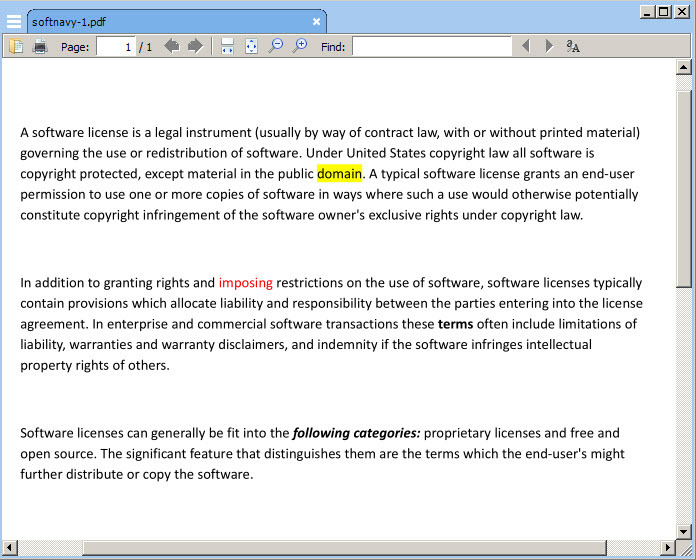 Cons: You cannot set a password, apply watermark, digital signatures because it doesn't have any advanced feature..
CutePDF Writer is available as free download for Windows 32-bit and 64-bit.